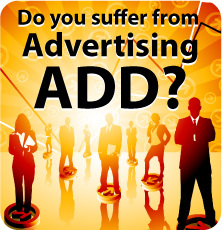 Location Based Advertising, Local Advertising | PlayMyAd, Inc. Speak to a local marketing consultant today! Alamo Cycle Plex of San Antonio, TX is the 2nd Prize winner of our Cyber Monday Giveaway. They received an Amazon gift card valued at $75. Bridgeport ATA Martial Arts of Bridgeport, WV is the 3rd Prize winner of our Cyber Monday Giveaway. They received an Amazon gift card valued at $50. "Since using PlayMyAd at 24-Hour Fitness I have seen a direct increase to new patients coming into my office from members seeing the ad spot at the gym while working out. I love that my ad is playing 24/7 and in an area of the gym where it gets lots of visibility. The customer service at PlayMyAd has also been outstanding in helping me as I developed this advertising campaign. Thank you!" "I placed an advertisement that is already seen across the United States inside of one the restaurants you suggested. I went to the location on the day you said it would be airing and I was very pleased to see that my spot ran numerous times while I was sitting and watching. What is even more exciting than that is the phones rang with people who have seen us on TV in the past and then while they went to this restaurant it confirmed our business was legit and created almost a "validation" for us. There isn't another opportunity like this anywhere!! To have your company branding with corporations like the restaurant we are playing our advertisement in can only help to establish your name in whatever industry you're in. Thank you very much from all of us at OMG TAX"
"My Marketing Consultant is AMAZING! All my requests, whether urgent or not, was taken care of to our satisfaction. We will definitely be utilizing PLAYMYAD services again." "It's been a very positive experience. The design rep I've been working with has kept me well informed throughout the entire process. This is our company's first time doing a promotional ad. We all agree it has been a very pleasant experience." "Thank you for preparing our Ad in a timely manner. All the staff was very friendly and very efficient." To the team at PlayMyAd: I just wanted to say THANK YOU!!! for the professional manner in which you have created my ad campaign and the superb service and follow up. I can't say enough words and lack enough adjectives in my vocabulary to indicate the manner in which my Media Production Coordinator managed my account. The follow-up, concern, dedication, sincerity and expertise are far superior to any service I've encountered in recent memory. In closing, as I said to my Media Production Coordinator, "Tell your parents they did a great job." Once again, thank you. "My Media Production Coordinator and PlayMyAd did an amazing job and I was very happy with the work they've done for me. I would always use them." "I am very grateful for the help that PlayMyAd has given us! You are convenient, professional, and extremely helpful! Sometimes you just get tired of doing everything on the net... and your customer service is careful and precise at placing our ads in the most beneficial places for our businesses, OVER THE PHONE! It's a wonderful break from initiating everything on the internet. I could, of course, do everything I needed on your website... but I prefer to speak to a human being at times! And humans that are capable! They help you choose the areas that are going to help grow your business... and they don't let the competition advertise in the same places that they place our ads! Very thoughtful!! I believe we will be using your services for quite some time to come. Thank you tremendously!" "Thank you very much for all your support and help making this commercial possible for us. Everything went smoothly with the help of you and your team at PlayMyAd. The service and advice/counseling helped us tremendously. Our commercial looks great and I can't wait to see it on the big screen. I'm looking forward to doing more business with you in the future. Thanks again." "The Maverick Designs ad is up on Buffalo Wild Wings screens in time for Valentine's Day as you promised. You did a great job on production. Our server saw it and asked us for a business card. We are looking forward to all of those customers seeing our ad 24/7. Thanks again!" "My Media Coordinator was extremely accessible during the entire commercial project and was very responsive to emails/phone call backs. He provided great follow-through, attention and effort to ensure that the commercials were executed and completed in a timely manner. He and his team produced quality commercials at a good value. I appreciated working with him." 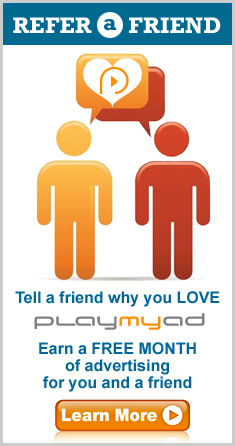 "I have been working with PlayMyAd for a couple months. When I had a concern with the feedback from my ad they promptly produced a new excellent ad for my business. It's a pleasure to work with a company that responds and quickly addresses your concerns. I highly recommend PlayMyAd." "JerseyVegas management would like to thank PlayMyAd for the professional manner in which they handled making our business commercial. We started with 2 locations and quickly expanded to 3 additional locations. We couldn't be happier with our location based TV advertising campaign." "I highly recommend Playmyad. They give you quality attention and timely response. I had the utmost professional experience working with them. There is no push for sales. It was a very personal rapport and feeling that they really want to help you be successful in your career, giving the care and understanding to work with you and supporting you. This was truly a connection of care, interest, and a win win relationship. Yes, I say relationship or partnership. There was no pressure or feeling that it was just a business wanting you for their welfare/promotion. It has been one of the few experiences I have had in my career that met my standards of truly connecting. I highly recommend the investment. It is truly a collaboration and teamwork of caring to help and assist to the best of their ability. The customer service went above and beyond the call of duty. Thank you for all you have accomplished with me. A most authentic business experience that felt like a best friend rooting you on! " "My media coordinator was so proactive, when I had any questions or concerns, he went out of his way to find a solution. He even helped me find the best geographic market for my industry, while staying within my budget." "Rebel Place would like to thank PlayMyAd for the professional manner in which they handled making our business commercial. We couldn't be happier with our location based TV advertising campaign it hits our target audience perfectly." "It has been a pleasure working with PlayMyAd. My rep was so giving and so helpful. If you are not computer literate, it is not a problem because they will walk you through the process. I've been in business 55 years and I have never been so pleased with running ad with someone I met over the telephone. I am 1000% pleased." "My marketing consultant was great. The commercial was great. Overall, I'm very pleased with my experience with PlayMyAd"
"My Media Production Coordinator is awesome and a great problem solver. He provided a quick solution to get my commercial up and running." "I am really happy with the service that I got from your company, it has been a good experience working with you and really exciting to see the video come alive. I want to mention that I appreciate the quick response and the help and advice on editing the video to meet my expectations and to the rep that actually went out of his way trying to help me over the weekend even though it was outside of business hours." "We had lunch at Buffalo Wild Wings today and did see our commercial run!! Thanks." "I am very satisfied with the creative ability of PlayMyAd and want to explore other video possibilities for our company." "My business is located very close to the school. In the first month of playing my commercial, I received an influx of students. I received so much business that I called my local marketing consultant and asked to turn off the ad so that I could catch up to the increased volume in business." "This is new, innovative, and connects with my target audience perfectly. I am playing my commercial in 4 different salon locations." "I was really impressed with the ad for my company, R Family Storage. Thank you PlayMyAd." "Working with my Account Manager was a very pleasant experience. She guided me through the commercial development process and generously gave of her time to give us her opinion on our photos and images so we could have the best commercial possible. 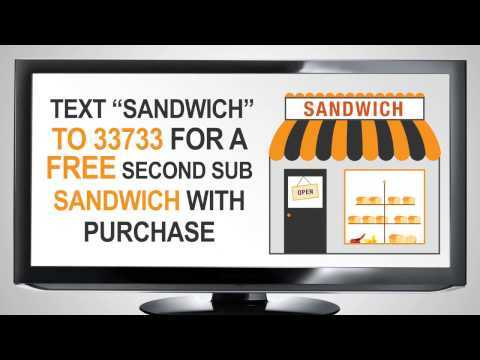 We now have commercials playing at 2 locations."